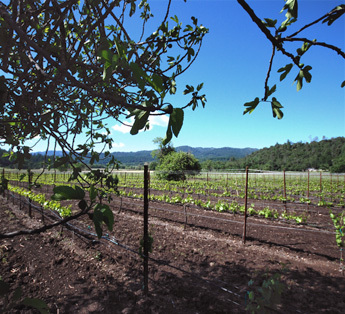 Fig Tree Vineyard, purchased in 1949, is located in Napa Valley at the northeast edge of the St. Helena appellation. Two fig trees stand guard over this prized property that grows some of our rarest estate wines. 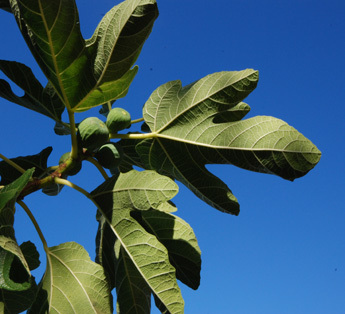 One fig tree was a precious gift to Van Ballentine from a dear friend, who brought them from her home town in Italy. The trees produce delicious figs that we all enjoy eating in late summer while anticipating the pending harvest. 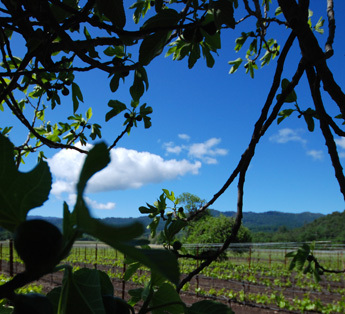 Of the three Ballentine vineyards, Fig Tree is usually the last of our sites to ripen. It’s shaded from the early morning sun. 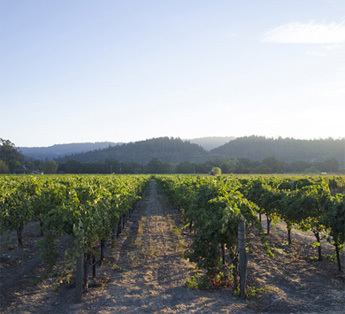 Peak exposure happens late in the day, when the sun hangs low over the Mayacamas and the ground has warmed up. The rocky and loamy soil helps de-vigorate the vines and improve the tannin structure of the grapes from this vineyard.